President Recep Tayyip Erdogan Saturday criticised Austria for planning to ban any possible campaigning for the June elections, saying that countries attempting to undermine his country’s democratic struggle would “pay a price”. In an interview with private NTV broadcaster, Erdogan took aim at Austrian Chancellor Sebastian Kurz who said Friday campaign events would “not be welcome” and would not be allowed. “Turkey’s struggle for democracy cannot be easily restricted,” he said. “They are Turkish elections, so the campaign should remain in Turkey,” he said, warning that any campaigning by Turkish politicians could cause public disorder in the Netherlands. “We have finalised our preparations abroad. I will not publicise the country now but God willing, I will address a crowd of 10-11,000 at a meeting of an international organisation,” he added. 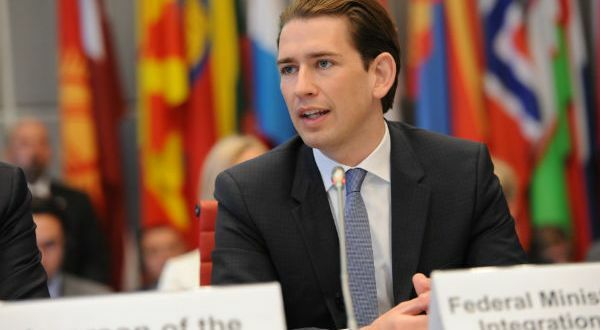 Turkey’s EU Affairs Minister Omer Celik also blasted the prime ministers of Austria and the Netherlands, saying they were “not leaning on democratic values”. “With this approach, Austria and Holland are poisoning democratic values in their own countries. By doing so, they are helping spread of racist political movements hostile to European Union values,” he wrote on Twitter Saturday. Last year, Turkey’s relations with some of the EU member states including Germany, Austria and the Netherlands, took a strained turn after they banned rallies ahead of a constitutional referendum won by Erdogan.